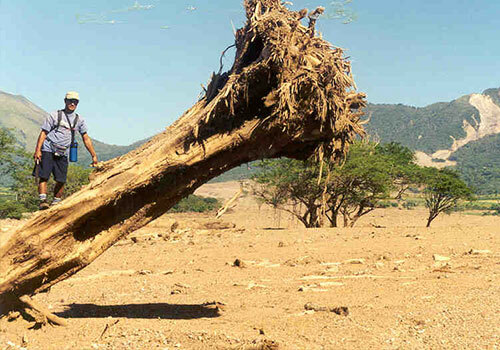 It was the most devastating hurricane in the Caribbean region for more than 200 years. 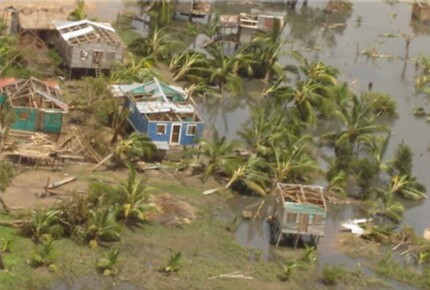 As winds reached 180 mph, thousands of people living in poverty were killed, injured or left homeless. 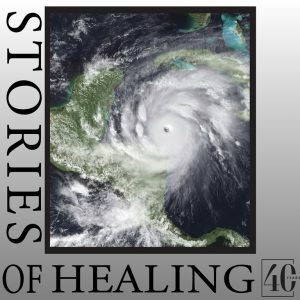 Families were torn apart..
Operation Mercy wasn’t about one patient, but restoring families, villages and communities after Hurricane Mitch generated devastating mudslides, sweeping away lives and livelihoods in a region the Caribbean Mercy served. 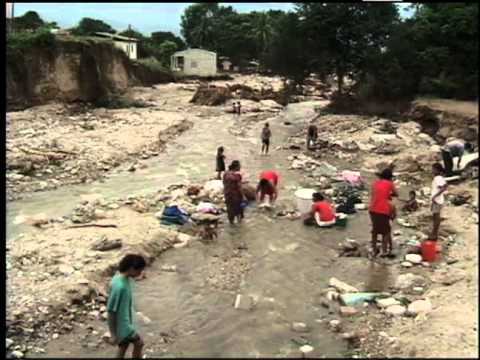 In October 1998 more than 11,000 people died in Central America and by the end of 1998, another 11,000 were left missing, and 2.7 million left homeless. Bridges were washed out, roads destroyed and water sources were contaminated by flooding and mudslides caused by historic rainfall amounts with unofficial reports of up to 1,900 mm of rain. Pauline was serving with the Caribbean Mercy at the time. The ship had been in Nicaragua just before Hurricane Mitch struck. 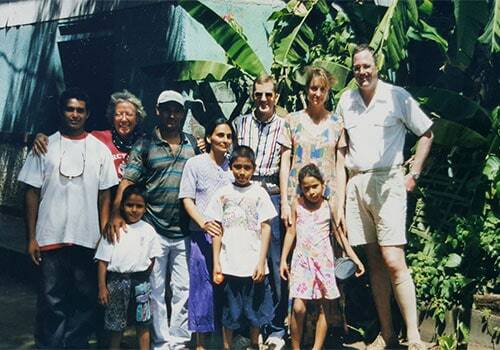 She recalls,’ Over the course of the Caribbean Mercy field service to Nicaragua In 1998, several crew befriended a man of peace and lay-pastor named William, with his wife and three small children. On weekends, we traveled from the ship to stay at their home, our friendship growing. When the field service ended, we waved goodbye as the ship sailed. We planned to visit them at the next opportunity. We had a Mercy Team based in Nicaragua whose quick response and longer-term provision provided critically needed food and water for survivors of the mudslide and flooding in the whole region. The Caribbean Mercy’s decision to make an emergency relief run brought more aid including much needed medical supplies for the local hospital. I was privileged to be part of a small team who flew from the ship in the USA to Nicaragua to advance the port for the ship’s arrival. It was a tearful reunion when William and his family met me near the mudslide area – where the smell of death hung in the air. Our team had many opportunities to minister to the mudslide survivors. One in particular that impacted me greatly involved a young couple. Their baby had been found alive, though buried in the mud. He was taken to the local hospital. They tried to visit him daily but were told that the hospital was too busy caring for all of the survivors. One day, they were given a form letter by too-busy staff and sent on their way. The problem was, they were illiterate. They brought the form to me and asked me to read it to them. My heart broke for them when I saw that their baby had died from his injuries. God placed me there at that moment to be a compassionate friend to inform them, and to weep with them at their loss. When the ship later arrived, William helped our crew locate mudslide survivors, who had lost everything in the disaster. The crew came laden with backpacks full of clothing and non-perishable food items – an encouragement to the survivors in the midst of a horrible tragedy. Many crew donated funds that were used to purchase sleeping mats and food items.